Point shooting — also known as target- or threat-focused shooting, instinctive aiming, instinctive firing, and instinctive shooting — is a method of shooting a firearm quickly and accurately that does not rely on the use of the sights in close quarters, life-threatening situations where there is the greatest chance of being killed. Close-quarters fighting makes it difficult to apply proper marksmanship techniques, which is why point shooting advocates a less sighting-based style of shooting. Point shooting is also a technique used by trained archers and marksmen to improve general accuracy when using a bow, firearm, or other ranged weapon. By developing a feel for a given weapon such as a pistol, the shooter can become so accustomed to the weapon's weight and where it is aimed that they can remain relatively accurate without the need to focus on the sights of the gun to aim. By continuously practicing with a weapon, a shooter can develop a subconscious coordination between their eyes, hands, and brain, utilizing a natural human sense known as proprioception to aid in the proper and accurate use of a ranged weapon to the point that they can fire said weapon by "instinct". One point shooting method, referred to as aimed point shooting, has been used and discussed since the early 19th century. The method employs the use of the index finger along the side of the gun to aim the gun, and the middle finger is used to pull the trigger. Mention of the use of the middle finger can be found in books from the early 1800s up through the 20th century: 1804, 1810, 1816, 1829 1835, 1885, 1898, 1900, 1908, 1912, and in many other military manuals on the M1911. The US Army's first instructional manual on the use of the Model 1911 pistol specifically mentions it, but in a cautionary way due to the design of the slide stop. The slide stop pin protrudes out from the right side of the pistol, and if depressed when the gun is fired, the M1911 can jam. The trigger should be pulled with the forefinger. If the trigger is pulled with the second finger, the forefinger extending along the side of the receiver is apt to press against the projecting pin of the slide stop and cause a jam when the slide recoils. Similar cautionary language is repeated in many other military manuals published from 1912 and up until the 1940s: 1915, 1917, 1918, 1920, 1921, 1922, 1926, 1927, 1929, and 1941. Several US patents have drawings showing the method used with firearms: US Patent # 694969 issued Mar. 11, 1902, US Patent # 896099 issued Aug. 18, 1908, US Patent # 2270707 issued Jan. 20, 1942, US Patent # 5166459 issued Nov. 1992. Early 20th century shooting experts such as William E. Fairbairn and Rex Applegate advocated point shooting, while many experts later in the century advocated the use of sights. Later sight-reliant methods include Jeff Cooper's modern technique method which became popular after World War II. The modern technique is also known as "sight-reliant shooting" or "sight shooting". The issue of using sight-reliant shooting, which relies on the use of the sights for aiming in close quarters combat situations, versus point shooting, which does not rely on the sights for aiming in close quarters combat situations, has been debated since as early as 1835. Aimed point shooting employs humans' innate ability to point accurately at targets in such a way that the shooter can use that ability to hit targets with a firearm. When a soldier points, he instinctively points at the feature on the object on which his eyes are focused. An impulse from the brain causes the arm and hand to stop when the finger reaches the proper position. When the eyes are shifted to a new object or feature, the finger, hand, and arm also shift to this point. It is this inherent trait that can be used by the soldier to rapidly and accurately engage targets. Walter J. Dorfner SSgt VSP, the Vice Chair of the Use of Force Committee of the Vermont Criminal Justice Training Council at the Vermont Police Academy in Pittsford, VT, wrote a paper that details his experimentation with using that method of aiming and shooting. He also was the lead firearms instructor for the VSP. The one thing that point shooting methods have in common is that they do not rely on the sights, and they strive to increase the shooter's ability to hit targets at short range under the less-than-ideal conditions expected in close quarters, life-threatening situations, self-defense, and combat situations. Point shooting is often included in military tactical training, alongside other topics such as combatives and urban warfare. A variety of point shooting methods have entered military doctrine at various times and places. Soon after the creation of the Office of Strategic Services (OSS) in 1942, then Second Lieutenant Rex Applegate was given the task of adapting the training being given to British Commando forces for use by OSS agents. Applegate's methodology was published in his book, Kill or Get Killed which was first printed in 1943, and based on his training program for the OSS developed with William E. Fairbairn and Eric A. Sykes. This method is often referred to as the Fairbairn, Sykes, and Applegate method, or FSA (though sometimes the order is altered to FAS). By 1976, it was into its fifth edition, and was re-published in 1991 as Fleet Marine Force Reference Publication FM12-80, Kill or Get Killed. This book covers a wide range of topics, from armed and unarmed combat to prisoner control and riot control techniques. Chapter 5, "Combat Use of the Hand Gun", covers the basic use of a handgun in a combat situation, while chapter 6, "Combat Firing with Shoulder Weapons", covers techniques for submachine guns, rifles and shotguns. While aimed fire techniques are covered in both chapters, along with topics such as use of cover and different firing positions, the point shooting techniques generally attract the most attention. Much of Applegate's instruction on point shooting involves developing a firm, consistent shooting position that allows the student to consistently hit where he is looking. While Applegate did cover firing handguns from the hip (from a position he called the "1/2 hip" position), he was careful to point out that this method only worked on targets at the same level as the shooter, and only at very close range. 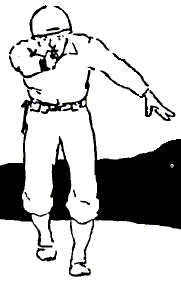 For one hand shooting, the gun is held in a low ready position and on center of the body, and with the wrist and arm locked. The arm stays locked (stiff), as the pistol is then raised from the shoulder. And when on target, a convulsive squeeze is used to fire. To reduce error in the stance, targets not directly in front of the shooter are engaged by turning the upper body at the hips, since turning the arm at the shoulder, elbow, or wrist will result in a loss of control and a miss, while turning at the waist keeps everything aligned correctly. Another of Applegate's training innovations was the use of particularly intense combat firing ranges, which he called the "House of horrors". A cross between an obstacle course, a haunted house, and a shooting range, it used a three dimensional layout with stairs and tunnels, pop-up targets, deliberately poor lighting, psychologically disturbing sounds, simulated cobwebs and bodies, and blank cartridges being fired towards the shooter. The range was designed to have the greatest possible psychological impact on the shooter, to simulate the stress of combat as much as possible, and no targets were presented at distances of greater than 10 feet (3.0 m) from the shooter. Applegate also used his house of horrors as a test of the point shooting training. Five hundred men with no previous handgun shooting experience were run through the house of horrors after standard, bullseye-type, introductory target pistol training with no gunhandling instruction, and then again (with modifications in the layout) after training in Applegate's approach to point shooting and basic gunhandling. The average number of hits in the first group was four out of twelve targets hit (with two shots per target). After point shooting, the average jumped to ten out of twelve targets hit. Further shooters trained only in point shooting, including those who had never fired a handgun before receiving point shooting training, maintained the high average established by the first group. Similar methods were in use as early as the 1920s and continue to this day, for example the FBI facility called Hogan's Alley. A method of point shooting with a rifle was developed by Lucky McDaniel and taught by the US Army beginning in 1967. It was called "Quick Kill", and it was taught using an air rifle. The Quick Kill method was fully detailed in-step-by-step fashion in Principles of Quick Kill. It was taught starting with a special Daisy BB gun that had no sights. The slow moving steel BB was visible in flight on sunny days, making it an inexpensive tracer round. The students began by firing at 3.5-inch (89 mm) diameter metal disks thrown in the air slightly in front of the student and 2 to 4 meters (6 ft 7 in to 13 ft 1 in) above the student's head. After an 80% hit rate is attained firing at these disks, the student is then presented with 2.5-inch (64 mm) diameter disks. Once proficiency is attained with the aerial targets, it shows the student has mastered the fundamentals, and training moves on to stationary targets on the ground, first with the BB gun and then with a service rifle having its front and rear sights taped over. The reason the quick kill method works is that the shooter learns to sight above the barrel, rather than along the barrel. While focusing on the target, the muzzle is placed about 2 inches (51 mm) below the target (the distance being measured at the muzzle), which places the barrel nearly parallel to the line of sight of the shooter. To hit the aerial targets, or other targets above eye level, the shooter focuses on the top edge of the target. When shooting at targets on the ground or below eye level, the shooter focuses on the bottom of the target. One of the points emphasized in quick kill is that it is essential to focus on a single spot on the target, such as the top edge of a thrown disc, or the bottom edge of a can on the ground. A key to hitting the target is for the shooter to track the target by moving their head with the rifle seated against it, instead of just following it with the eyes. The Daisy company commercially sold sightless BB guns and target throwers for a number of years under the name Quick Skill, along with an instruction book that was a demilitarized version of the aerial target portion of the "quick kill" course. In the late 1990s and early 2000s, Robin Brown (a former student of Lucky McDaniel) popularized Pistol Quick Kill. With Pistol Quick Kill, the pistol is gripped and pointed at a target much like a person would point their finger. "When you point, you naturally do not attempt to sight or aim your finger. It will be somewhat below your eye level in your peripheral vision, perhaps 2-4 inches below eye level." The same applies when pointing a gun at a target. Just as with pointing their finger, the user will "...see the end of the barrel and/or front sight while looking at the target...You have not looked at the gun or front sight, just the target." "With Quick Kill, the focus is always on the target, never having to adjust one's gaze or focus even remotely on the near object [the gun or sights]." Aimed. When presented with a target, the soldier brings the rifle up to his shoulder and quickly fires a single shot. His firing eye looks through or just over the rear sight aperture. He uses the front sight post to aim at the target Using this technique, a target at 25 meters or less may be accurately engaged in one second or less. Pointed. When presented with a target, the soldier keeps the rifle at his side and quickly fires a single shot or burst. He keeps both eyes open and uses his instinct and peripheral vision to line up the rifle with the target. Using this technique, a target at 15 meters or less may be engaged in less than one second. Reflexive fire is a method currently used by the US Army to teach short-range marksmanship with a rifle or carbine, but it is considered to be the least accurate of the techniques taught. The "Israeli method" is a point shooting system devised by the Israel Defense Forces (IDF) for use in training personnel to use rifles, submachine guns, and handguns. In its initial stages of training, it closely resembles the FSA method. In later stages, training in the rapid acquisition of the sights is taught, as well as a more advanced method of point shooting. Instinct shooting, referred to as "Quick Kill", was taught to the U.S. Army using rifles by Lucky McDaniel as far back as the 1960s. 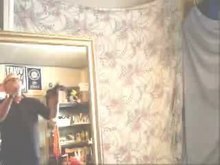 McDaniel also taught his point shooting techniques to the police, but using BB guns. ^ a b "Officer-Involved Shootings: What We Didn't Know Has Hurt Us" (PDF). The Police Policy Studies Council. 2003. p. 3. Retrieved July 14, 2015. ^ "Author Interview: Lou Chiodo" (PDF). Paladin Press. Retrieved July 13, 2015. ^ Combat Training with Pistols, M9 and M11 (PDF). Washington, D.C.: United States Department of the Army. August 2008. pp. 2–14–2–15. Archived from the original (PDF) on February 17, 2013. ^ a b c Lt. Col. Baron de Berenger (1835). Helps and Hints How to Protect Life and Property with Instructions in Rifle and Pistol Shooting, &c. London: T. Hurst. pp. 237–9. accordingly, bear in mind that you ought to pull by a motion, or rather pressure, of your finger only, and not by an action of the arm; the middle finger, instead of the forefinger, is to be preferred, (by a young beginner especially,) since the anatomical situation of its muscles is less likely to diverge your pistol by a pull at the trigger, than one from the forefinger, instead of pulling with the end of the finger, (as with a gun you ought to do;) your passing the whole of the first joint beyond the trigger is also a desirable mode, and on similar grounds. ^ Russel, John. Instructions for the Drills, and the Method of Performing the Eighteen Manoeuvers. London: C. Roworth. Pull the trigger strong with the middle finger. ^ Duane, William (1810). A Military Dictionary, or, Explanation of the Several Systems of Discipline of Different Kinds of Troops, Infantry, Artillery, and Cavalry; The Principles of Fortification, and All the Modern Improvements in the Science of Tactics: Comprising The Pocket Gunner, or Little Bombardier; the Military Regulations of the United States; the Weights, Measures, and Monies of All Nations; the Technical Terms and Phrases of the Art of War in the French Language Particularly Adapted to the Use of the Military Institution of the United States. Philadelphia: William Duane. p. 369. Pull the trigger strong with the middle finger. ^ Encyclopædia Perthensis, or Universal Dictionary of the Arts, Sciences, Literature, &c. Intended to Supersede the Use of Other Books of Reference. Edinburgh. 1816. p. 655. ^ Blunt, Stanhope E. (1885). Instructions in Rifle and Carbine Firing for the United States Army. New York: Charles Scribner's Sons. p. 33. Some riflemen advocate the employment of the second finger upon the trigger; this has the tendency to apparently lessen the amount of force required to discharge the piece, and for men with very long arms or fingers may be the easiest position. The loss of the greater mobility and sensitiveness of the forefinger is, however, a positive disadvantage. ^ "Guns and Ammunition". Recreation. VIII (1): 148. January 1898. In shooting a rifle, most sportsmen use the index finger to pull the trigger. If your readers would try using the second finger, and squeezing the hand together, instead of a direct pull, they would find a great difference in the pull of the trigger. This method is of great advantage when one has a standing shot at deer, as one is less liable to pull off. ^ Russell, Charles Edward Mackintosh (1900). Bullet and Shot in Indian Forest, Plain and Hill with Hints to Beginners in Indian Shooting. London: W. Thacker and Company. p. 325. Some beginners are very apt to 'pull off' in the act of firing. If such will make a practice of using the middle finger put well round the trigger, in place of the forefinger, they will probably find a great improvement in their shooting. ^ Fortier, David M. (February 2001). "Giant .45 'Broomhandle' from China: From the epoch of the warlords to you... a legendary, exotic big bore!" (PDF). Gun World. Special commando units were armed entirely with the C-96, and later the selective fire variants, as well as a large beheading sword carried in a leather scabbard on their back. Recognizing the Mauser's weak and strong points, the Chinese developed the following technique for using the C-96 and later the 712. They would hold it sideways (what we would today refer to as 'Gangbanger style'), with the index finger lying on the magazine well pointing at the target, and pull the trigger with the middle finger. ^ Joseph-Renaud, Jean (1912). La défense dans la rue [Defense in the Street] (in French). Translated by James Farthing and Herve Dautry. France: P. Lafitte & cie. ISBN 9782354221133. Some people will find it useful to press the trigger with the middle finger while keeping the index finger against the cylinder, parallel to the barrel. This technique relies on the habit of using the index finger to point at things. I heard the General de Chabot tell that such a method of shooting had saved his life in several occasions. For example, the day before the battle of Sarrebruck in 1870, he found himself face to face with a Prussian captain while seating in a small canteen. They both shot at each other straight away. Mr de Chabot had a single action weapon while his foe had a double action one. Nevertheless, the German missed five times while the French lieutenant mortally wounded him with his second shot. It must be noticed that both had fired hastily but this technique for handling the revolver makes instinctive shooting more accurate. Always used this technique with a good quality revolver, as it will prevent any spit of lead from between the cylinder and the barillet that would burn your fingers. ^ Complete United States Infantry Guide for Officers and Noncommissioned Officers. Philadelphia and London: J.B. Lippincott Company. 1917. p. 633. The trigger should be pulled with the forefinger. If the trigger is pulled with the second finger, the forefinger extending along the side of the receiver is apt to press against the projecting pin of the slide stop and cause a jam when the slide recoils. ^ Description of the Automatic Pistol, Caliber .45, Model of 1911: With Rules for Management, Memoranda of Trajectory, and Description of Ammunition. Washington: United States Government Printing Office. 1917. p. 16. If the trigger is pulled with the second finger, the forefinger extending along the side of the receiver is apt to press against the projecting pin of the slide stop and cause a jam when the slide recoils. ^ Small Arms Instruction Manual. New York: E.P. Dutton & Company. 1918. p. 82. The trigger should be squeezed with the forefinger. If the trigger is squeezed with the second finger, the forefinger extending along the side of the receiver is apt to press against the projecting pin of the slide stop and cause a jam when the slide recoils. ^ Handbook for Seaman Gunners: Covering Course for Seaman Gunners at the Navy Yard, Washington, Part 3. New York City: Navy Mobilization Bureau. 1918. p. 129. The trigger should be pulled with the forefinger. If the trigger is pulled with the second finger, the forefinger extending along the side of the receiver Is apt to press against the projecting pin of the slide stop and cause a jam when the slide recoils. ^ Farrow, Edward Samuel (1920). Farrow's Manual of Military Training. New York: Scientific American Publishing Company. p. 315. If the trigger is pulled with the second finger, the forefinger extending along the side of the receiver is apt to press against the projecting pin of the slide stop and cause a jam when the slide recoils. ^ Bond, Paul Stanley; Garey, Enoch Barton; Ellis, Olin Oglesby; McMurray, Thomas Leroy (1921). "Pistol Marksmanship". The R. O. T. C. manual; a text book for the Reserve Officers Training Corps. Baltimore: The Johns Hopkins Press. p. 3. If the second finger is used on the trigger the index finger will be extended along the side of the receiver where it is apt to press again the projecting end of the slide stop pin, thus causing a jam when the slide recoils. ^ Waldron, William Henry (1920). Platoon Training. United States Infantry Association. p. 612. The trigger should be pulled with the forefinger. If the trigger is pulled with the second finger, the forefinger extending along the side of the receiver is apt to press against the projecting pin of the slide stop and cause a jam when the slide recoils. ^ On page 13 of Training regulations: TR. - United States. War Dept - 1922, "... If the trigger is pulled with the second finger, the forefinger extending along the side of the receiver is apt to press against the projecting pin of the ..."
^ On page 31 of Special Regulations - California. Adjutant General's Office -Biography & Autobiography - 1926, "... If the trigger is pulled with the second finger, the forefinger extending along the side of the receiver is apt to press against the projecting pin of the slide stop and cause a jam when the slide recoils. ..."
^ Manual of Basic Training and Standards of Proficiency for the National Guard. United States Government Printing Office. 1927. p. 120. The trigger should be pulled with the forefinger. If the trigger is pulled with the second finger, the forefinger extending along the side of the receiver is apt to press against the projecting pin of the slide stop and cause a jam when the slide recoils. ^ On page 68 of Special Regulations - 1929, "... extending along the side of the receiver is apt to press against the projecting pin of the slide stop and cause a jam when the slide recoils. ..."
^ "Patent Images". Patimg2.uspto.gov. Retrieved 2013-10-20. ^ This is wording from the 1908 US Patent 896099 issued to M. H. Gardner: "This invention relates to a device adapted for attachment to fire-arms of various kinds, more especially to shot - guns or hunting rifles, and has for its object to facilitate quick and accurate pointing of the weapon without being obliged to adjust the gun-stock to the shoulder for aiming at birds just rising from the bush or in flight, or at other game. The invention is based largely upon the fact that the conscious or sub-conscious faculties intuitively enable men to point the index finger directly and accurately at any visible object without bringing the outstretched finger into alignment with or between the eye and the object." "Patent Images". United States Patent and Trademark Office. Retrieved July 13, 2015. ^ "Patent Images". Patimg1.uspto.gov. Retrieved 2013-10-20. ^ Combat Training with Pistols and Revolvers. United States Department of the Army. October 1988. pp. 2–14. ^ Applegate, Rex (1976). Fleet Marine Force Reference Publication FM12-80: Kill or Get Killed. Boulder, Colorado: Paladin Press. p. 296. ^ US Army Infantry School (1996). Principles of Quick Kill/It 23-71-1. Paladin Press. ISBN 9780873640657. ^ Rifle Marksmanship M16A1, M16A2/3, M16A4, AND M4 Carbine (PDF). Washington, DC: Department of the Army. 2006. pp. 7–16. ^ FM 3-22.9, RIFLE MARKSMANSHIP M16A1, M16A2/3, M16A4 and M4 CARBINE. United States Department of the Army. April 2003. ^ a b c d e Chuck Klein. Instinct Combat Shooting: Defensive Handgunning for Police (3 ed.). Looseleaf Law Publications, Inc. ISBN 1-889031-94-1. ^ a b Chuck Klein. "Instinct vs. Indexing: Close-Quarters Handgun Tactics". Law Officer. Retrieved 2014-04-29. ^ a b c Chuck Klein (28 June 2010). "Instinct Combat Shooting: Tricks That Pay Off When It Counts". Law Officer. Retrieved 2014-04-29. United States Army Film Bulletin 152, "Combat Firing with Hand Guns"